This was a member of one of my longer running series, Celtic Inlay Rings. 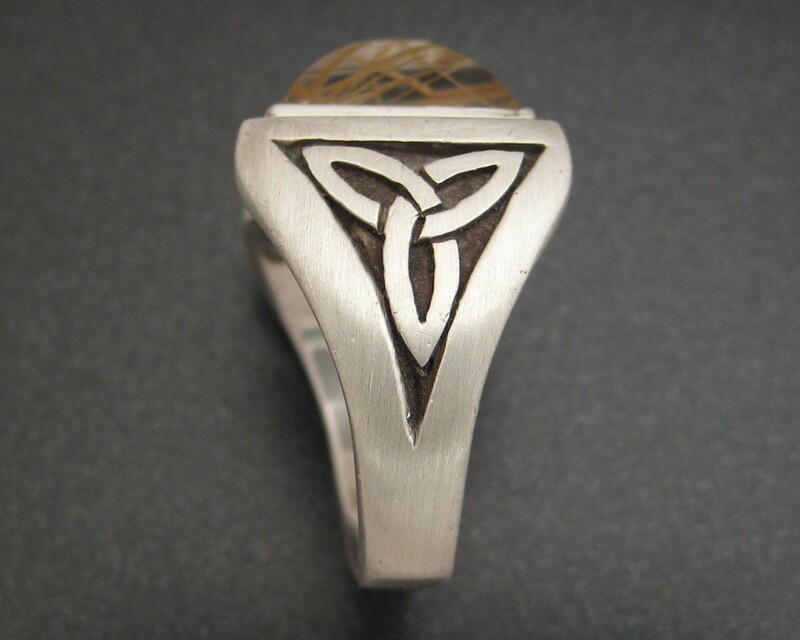 This ring was cast in sterling silver and inlaid with a celtic triquetra design. The triquetra is a common and ancient celtic design often used as a space filler and is similar to the three-legged emblem for the Isle of Man. I came to know this family of designs as triskelions and there are many indeed. This example is comprised, at its’ most basic level, of three matching arcs which weave over and under in a regular pattern. The three interlocking forms, be they arcs, legs, angles or whatever, often represent the Christian trinity but this design was ancient by the time Christ walked the earth. In this case, this was a custom design for a close friend who, as a mystic, wanted the triquetra to represent the triad of Maiden, Mother and Crone. 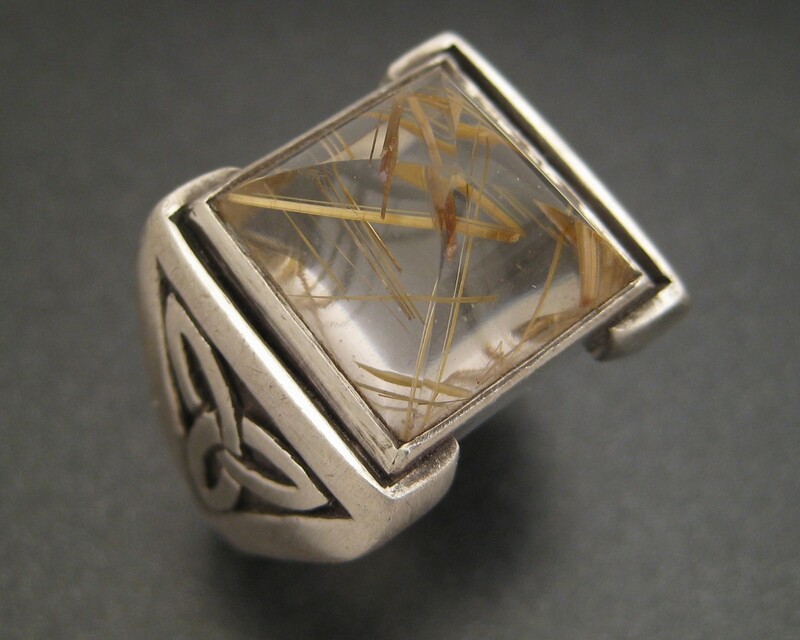 The gemstone in the ring is rutilated quartz. This term means that the quartz crystal grew in conjunction with the mineral rutile which is a titanium oxide. When rutile grows in this setting, it appears as a series of hairs or needles which can be extremely fine or, in this case, bold and large. 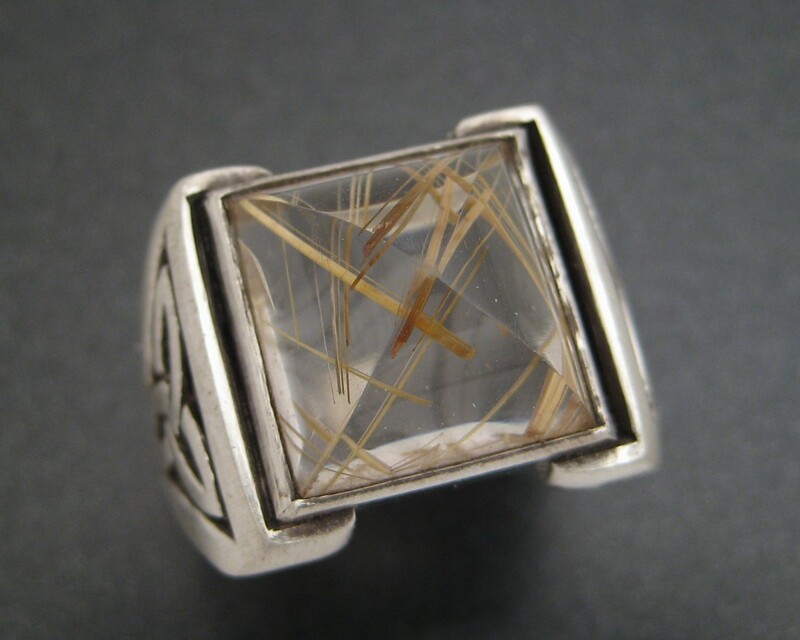 They can be golden yellow like this stone, silvery or reddish, which is the root of the term rutile. 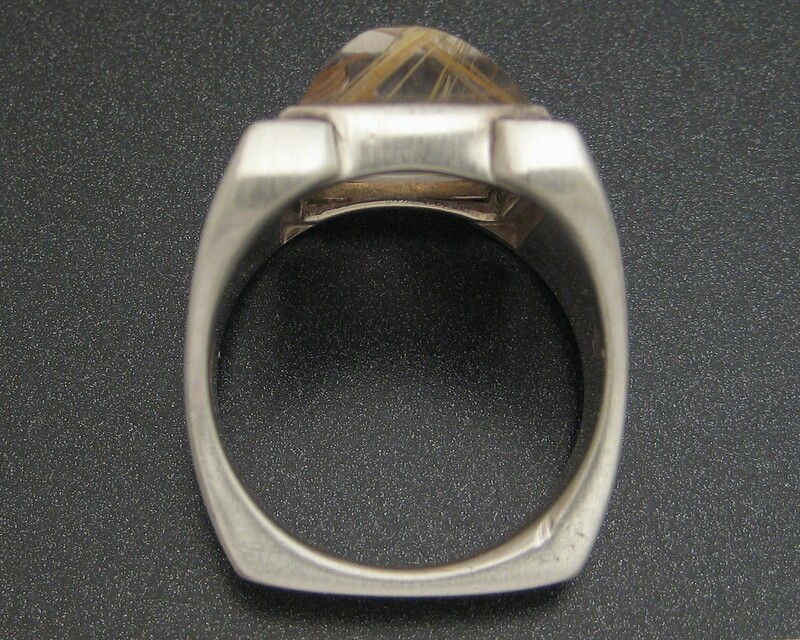 The stone was cut by me in a high four sided beveled pyramid in order to better show the wonderful criss-crossing of the rutile needles within. 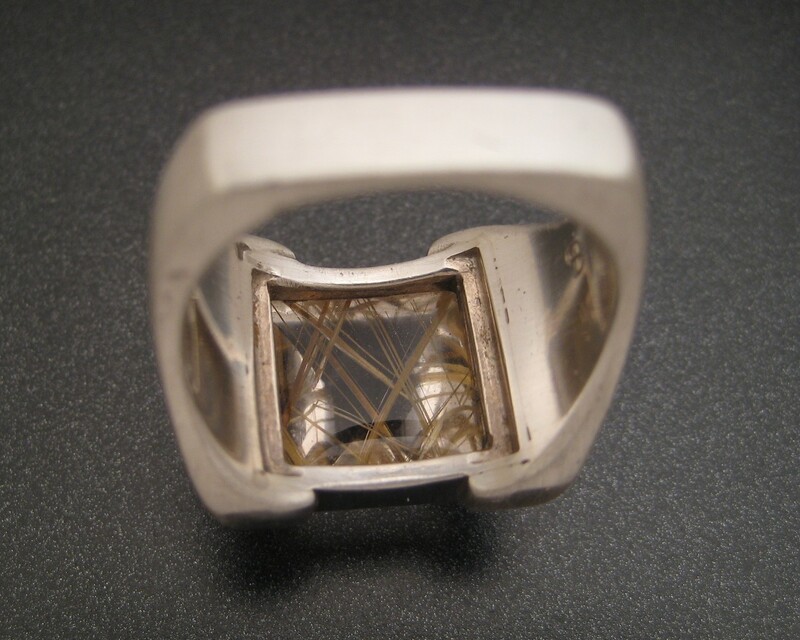 The ring has a square shank on the bottom to help balance a very top-heavy design. I chose to keep the bottom of the stone open, primarily to facilitate cleaning.